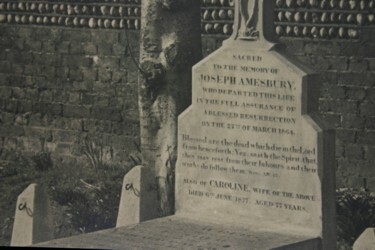 The gravestone photographic resource project is an attempt to provide a record of grave monuments for future generations. This is important because over time many monuments deteriorate and become unreadable. Notice in particular how water/frost damage has lifted off part of the bottom right of the monument. Once this type of damage starts it usually progresses quite quickly until none of the original surface is left and the monument is completely unreadable. 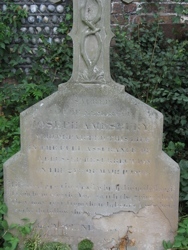 This is a major reason why the Gravestone Photographs Resource is so important and why it needs more volunteers!